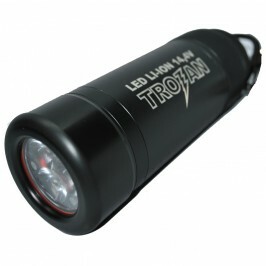 Trojan LED 30/70W light with canister. Angle - 8 degrees. 13.6 V accu. 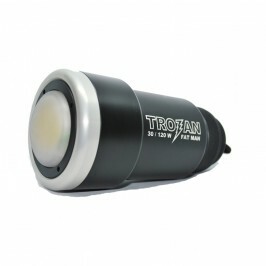 Trojan LED 30/70W light with canister viewing angle 8 degrees. 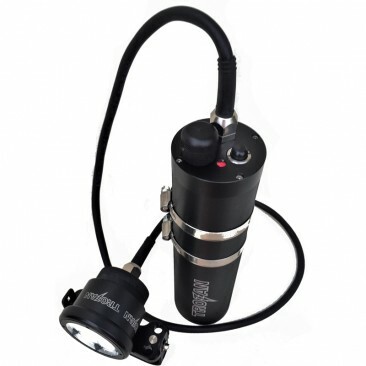 Small and light head made of POM makes this flashlight ideal for diving trips. 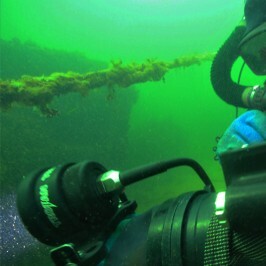 It is ideal for use in waters with good or medium transparency. The flashlight switch is located on the canister, and the control of the working mode is located on the head, which is easy for use and protects the flashlight against accidental switching on. Accu is protected against excessive discharging and overloading. 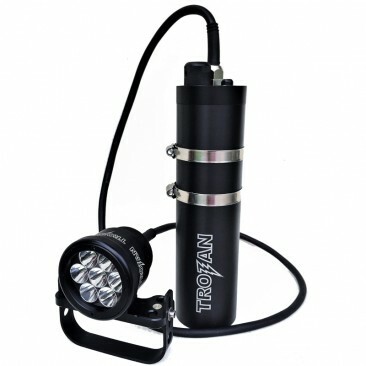 The head of the flashlight has been equipped with a system that protects it from excessive overheating. Flashlight Trojan LED with canister 17 / 35W viewing angle 8 degrees. Power: Power supply: 16.8 V package built of Panasonic 3400 mAh cells, two 30 and 70W light modes. 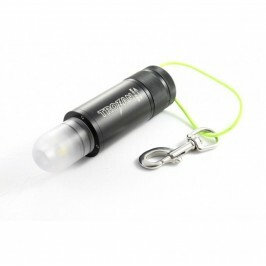 the luminous flux is similar to the HID flashlights. 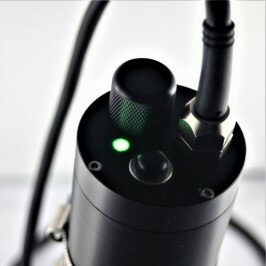 A good concentration of the light beam is obtained with 7u reflectors for each diode separately. Charging: It should be remembered that the cells inside the battery constantly supply power to two electronic circuits that control and protect the packet from overcharging and over-discharging. These systems consume the energy available in the batteries after some time. 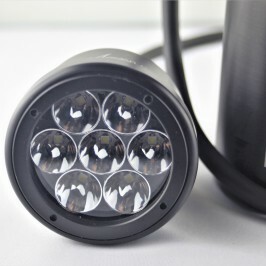 The torch, after approaching the threshold of the minimum voltage of the packet, switches to the low-voltage mode of operation and works on only one lower power. When the voltage is reached below the minimum threshold, the flashlight operation ends, protecting the packet against damage (excessive discharge).